While I was celebrating Cinco De Mayo, it was also Free Comic Book Day. * To make up for missing the day, I am following up on the programming note at the end of Star Wars drinks, drinking game, and music for The Revenge of the Sixth, "I plan on writing the next post about "Black Panther" vs. "Wonder Woman" at the Saturn Awards." Here are the categories in which "Black Panther" earned nominations from File 770. It is the most nominated movie at these awards with fourteen, one more than "Star Wars: The Last Jedi," earning nods in every category for which it was eligible. I was expecting a field of "Guardians of the Galaxy Vol. 2," "Logan," "Spider-Man: Homecoming," "Thor: Ragnarok," "Wonder Woman," and either "Justice League" or "The LEGO Batman Movie" -- as I mentioned in Drink to 'Coco' at the Saturn Awards for Cinco De Mayo, I both thought the latter was snubbed and was a better film than "Justice League" -- so when "Black Panther" got the sixth spot, I was thrown for a loop. On the one hand, it vastly improved the quality of the field; on box office alone, "Black Panther" is better than any of the other films, let alone the two I thought would earn the final nomination. It also cleared up a logjam for next year's awards, as "Black Panther" would have joined a crowded field of comic book/superhero movies including "Avengers: Infinity War," "Deadpool 2," "The Incredibles 2" (although it will probably be nominated under animation), "Ant-Man and the Wasp," "Teen Titans Go! To The Movies" (again more likely to be nominated under animation), "Venom," "Spider-Man: Into The Spider-Verse (3D)," "Alita: Battle Angel" (from a manga, but more likely to be nominated under science fiction or action), "Aquaman," "Hellboy" (which could be nominated under fantasy, horror, or action instead), "Silver and Black" and "Dark Phoenix." Even eliminating the borderline cases I identified in parentheses, there are eight superhero movies debuting during the eligibility period of February 15, 2018 to February 15, 2019. As for the eligibility period after that, there will be an even more crowded 2019-2020 field of ten superhero movies. Wow! As for what's in the other hand, I admit it's a bit of a conspiracy theory. I had a conversation with a fellow comic book fan on Facebook in December about comic book movies at the Saturn Awards. The passages in quotes are my Facebook friend's." [B]ar the boring as hell Dr Strange" -- Believe it or not, it was voted Best Comic Book Movie at the Saturn Awards last year, beating "Deadpool." Don't blame me; I voted for "Deadpool." "That makes no goddamn sense." It makes a certain kind of sense if one considers the previous winners in the the category. So far, they've all be MCU movies focused on single heroes, less well known ones, or both: "Iron Man 3," "Guardians of the Galaxy," "Ant-Man," and "Doctor Strange." For some reason, the voters aren't keen on the Avengers movies. Fox's X-Men movies and DCEU movies get nominated, but don't win. It makes me suspect there is something odd about both the politics and taste of the people voting. If one of "Spider-Man: Homecoming," "Thor: Ragnarok," or especially "Guardians of the Galaxy, Vol. 2" beat "Wonder Woman" next year, it will confirm my suspicions. Nominating "Black Panther" was not on that list of possibilities, but I think it supports my thesis even more than the others. Pay attention to the following paragraph from the Saturn Awards Voting Procedures, especially the portion I've boldfaced. Films are officially submitted to the organization for award consideration. For a film to qualify for Saturn Award consideration, it must be screened for the membership of the organization. All films screened for the organization between February 15, 2014 - February 15, 2015 will be eligible for Saturn Award consideration. The Academy reserves the right to consider films screened outside of this eligibility period if a particular screening cannot be set up due to complications and/or situations beyond our control. In other words, Marvel Studios submitted "Black Panther" for the current awards show, most likely before its opening, but the Saturn Awards couldn't arrange a screening before February 15, 2018, which was one day before its official theatrical release. Even so, the Academy used its discretionary power to make it eligible, which strengthens my suspicions about its bias. By doing so, it added another 'MCU movie focused on a single less well known hero,' exactly the kind of nominee that has won in the past. Before this happened, I thought "Wonder Woman" had a decent chance. Now, I am pretty sure it will lose to "Black Panther." 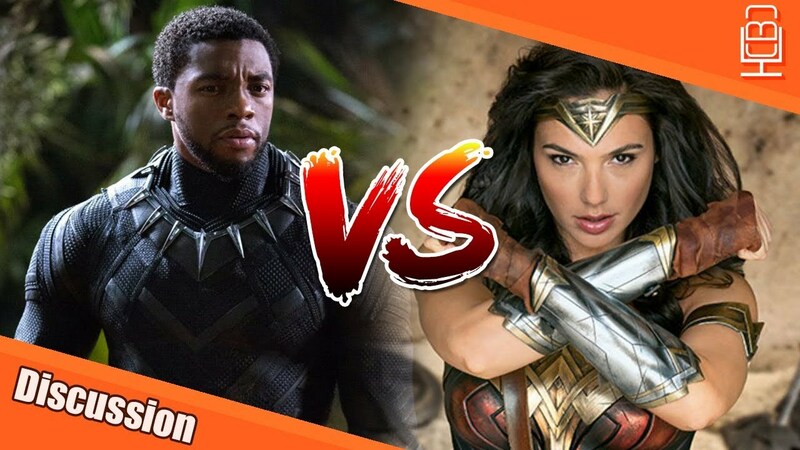 If I manage to watch "Black Panther" before I vote, I might even go along with the plurality, voting for "Black Panther" instead of "Wonder Woman." Yes, I've been manipulated by the preferences of the Academy leadership, too. There are two other categories in which "Black Panther" earned a nomination but is not in competition with "Star Wars: The Last Jedi," both in acting. First, a category in which "The Last Jedi" could have had nominees, but didn't. The other category is one where "The Last Jedi" and "Wonder Woman" had no potential nominees. All the rest of the nominations for "Black Panther" are in categories where it is competing with "The Last Jedi." Follow over the jump for those. I'll be a good environmentalist and recycle what I wrote in 'The Last Jedi' and 'Star Wars Rebels' at the Saturn Awards for Star Wars Day except for music, where I'm recycling from Drink to 'Coco' at the Saturn Awards for Cinco De Mayo instead. I am adding a comment if I didn't make one about the chances of "Black Panther." Otherwise, I'm just quoting and moving on. Finally, the Oscar winner, Frances McDormand, is among the nominees, along with another nominee, Sally Hawkins, along with a past winner, Lupita Nyong’o, and a former nominee, Rosamund Pike. I will probably vote for either McDormand or Hawkins. I don't expect the plurality of the Saturn electorate will. Instead, I think they will vote for Gal Gadot, who I correctly predicted would be nominated in this category. Speaking of nominees, both "I, Tonya" and "The Post" were nominated in other categories. If the Saturn Awards were consistent and honored the opinions of entertainment insiders and other professionals, the nominating committee would have nominated their leading ladies Margot Robbie and Meryl Streep in this category. They didn't. I'm not surprised. As I wrote in Speculative fiction nominees at the 2018 SAG Awards, "Remember, the Saturn Awards are about entertainment not art, they don't care for subtle, and they love to stick it to the experts." That's O.K. ; this is a good field. I thought Carrie Fisher, Octavia Spencer, and Kelly Marie Tran would be nominated and they were. I also though Hong Chau from "Downsizing" would be as well, but she wasn't. Darn. Still, I'm pleased to see Dani Gurira and Tessa Thompson nominated. As for Lois Smith, I was tempted to say "who?" until I found out she won the Satellite Award in this category, beating the Oscar winner Allison Janney and Oscar nominee Laurie Metcalf, who won this category at the Gold Derby Awards and National Board of Review. I'm not going to dispute her being here instead of Janney. As for my opinion of the nominees, I'm voting for Spencer, but I expect Fisher will win. As one can tell, I'm not optimistic about the chances for Danai Gurira, who has the distinction of being the only nominee for acting in both movies and television at these awards. I'll be sure to mention that again when I write about "The Walking Dead" later this month. I think Coogler only has a chance if there is a sweep for "Black Panther," although he might earn a Best Adapted Screenplay nomination at next year's Oscars. Three of these movies, “Beauty and the Beast,” “Blade Runner 2049,” and “The Shape of Water,” were nominated for the Oscar in this category with “The Shape of Water” winning. In addition, “Beauty and the Beast,” “Blade Runner 2049,” and “Star Wars: The Last Jedi” earned nominations at the the Art Directors Guild Awards with “The Shape of Water” and “Blade Runner 2049” winning their categories. About the only surprise is “Valerian and the City of A Thousand Planets” being nominated instead of "Wonder Woman," "Logan," "Downsizing," or "Murder on the Orient Express," but it's not an undeserved nomination, just surprising. I will need to watch all the nominees except "Black Panther" before I decide (I don't expect it will be available for home viewing before voting closes), but I expect I'll vote for "The Shape of Water." 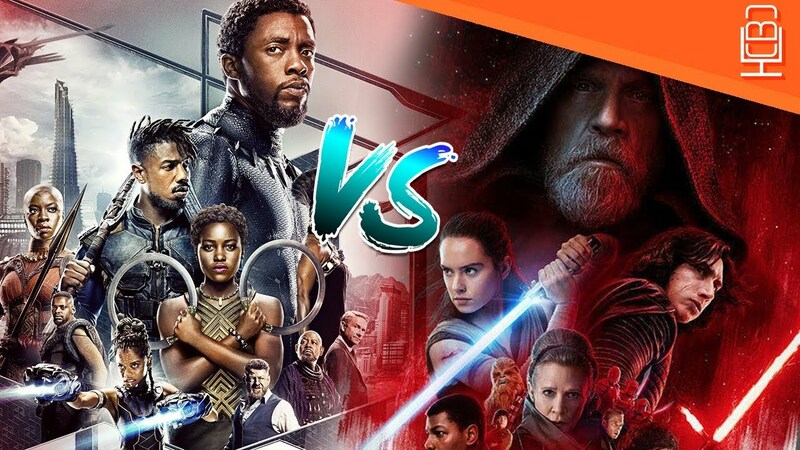 As for it winning, I'm not too sure; "Star Wars: The Last Jedi" or "Black Panther" could pull off an upset. "Black Panther" could earn a nomination for Production Design at the Oscars and other awards with the category. As for film editing, I doubt it will get past either my picks or "The Last Jedi" here. It's too early for me to make a call on an editing nomination at the Oscars. The one bit of hope is that last year's Oscar winner for both Best Original Score and Best Original Song, "La La Land," won Best Music last year, so both "Coco" and "The Shape of Water," another film I could celebrate today, still have a fair chance, although it doesn't happen often that the Oscar winner becomes the Saturn Award winner, even when nominated. I'm not optimistic about "Black Panther" winning this category over the films I have already named, although I would not be surprised if one or more of the songs earn nominations for Grammy and an Oscar next year. I'll post the two most likely candidates near the end of this post. In the absence of "Phantom Thread," the Oscar winner, this is a wide-open, high-quality field with two Oscar nominees, "Beauty and the Beast" and "The Shape of Water," and two additional nominees from the Costume Designers Guild, "Wonder Woman" and "The Greatest Showman." Of the four, "The Shape of Water" and "Wonder Woman" won their respective categories. "Black Panther" makes for a worthy addition -- I would not be surprised if it is nominated for an Oscar in this category next year -- making up for "Thor: Ragnarok" not being nominated. I am surprised that “Valerian and the City of A Thousand Planets” beat "The Last Jedi," but that's all; as I've written before, its nomination is not undeserved. As for me, I might vote for "Wonder Woman." Only "Wonder" from the three Oscar nominees appears here. I don't know if that makes it the favorite. Instead, I'd look among the speculative fiction nominees galore at the Makeup and Hair Stylists Guild Awards, “Blade Runner 2049,” “Guardians of the Galaxy Vol. 2,” “The Shape of Water,” and “Star Wars: The Last Jedi.” I am somewhat surprised that "Beauty and the Beast" was not nominated, but this category is make-up, not hair. Out of all four, "Guardians of the Galaxy Vol. 2" won. On that alone, it has my vote. "Black Panther" would make for a good spoiler in Make-Up, although I think its costumes are better. In fact, I expect an Oscar nomination for it in Costume Design next year. This is the Oscar field with "Black Panther" added. I have no problem with this, as I am all in favor of defending the professional/insider consensus except for when it completely screws up, which it didn't do here. While “Blade Runner 2049” is the Oscar winner and “War for the Planet of the Apes” is the one I thought should have won (and I might vote for it), I expect "The Last Jedi" will win unless the trippy space scenery of “Guardians of the Galaxy Vol. 2” impresses the voters. I doubt "Black Panther" will win, although it might earn an Oscar nomination in this category next year against stiff competition. I promised that I'd embed the two songs I think would earn a Grammy and/or Oscar nomination next year. Both of them are by Kendrick Lamar with other artists. First, Kendrick Lamar, SZA - All The Stars. That's a very good video with imagery inspired by the movie, but for actual scenes from "Black Panther," watch The Weeknd, Kendrick Lamar - Pray For Me (Lyric Video). I'm impressed. If my readers are as well, they can click on the link in the blockquote. I'll take a break from the Saturn Awards to return to reality tomorrow. Right now, I'm planning an an entry about the latest Mars launch. Stay tuned. *I first became aware of Free Comic Book Day in the mid 2000s, when my younger daughter and I wandered into The Vault of Midnight in Ann Arbor on the first Saturday in May and found a table full of free comics. I didn't choose any, but my daughter picked out an issue of Lady Death. It may not have been suitable for her age, she was in her early teens, but it was certainly suitable for her personality. She was very much a Goth/metal girl as a teen.